CBC IR Tracer ammunition was designed for night operations, granting the combat forces a stealth advantage. The bullet trace is completely invisible to the naked eye and only visible with the use of Night Vision Devices (NVDs). The technology gives the fighter higher engagement effectiveness since the target visualization is not ofuscated by the halo effect. With the use of a special propellant that virtually eliminates muzzle flash, it allows a tactical upper hand by keeping the shooter’s position unexposed. 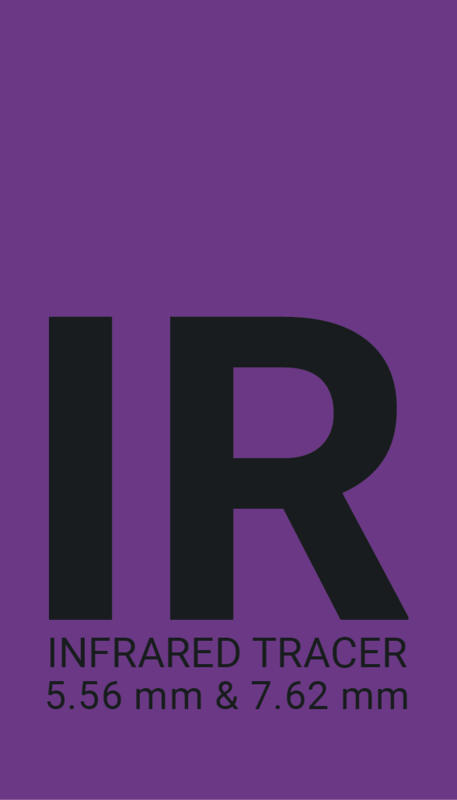 The trace performance is achieved due to a special tracer composition that keeps the wave length emission within the IR spectrum, therefore visible only through NVDs – GEN 3 and beyond. CBC IR Tracer complies with STANAGs 2310 (for the 7.62mm) and 4172 (for the 5.56mm), as well as with NATO (Multi-caliber MOPI Standard). 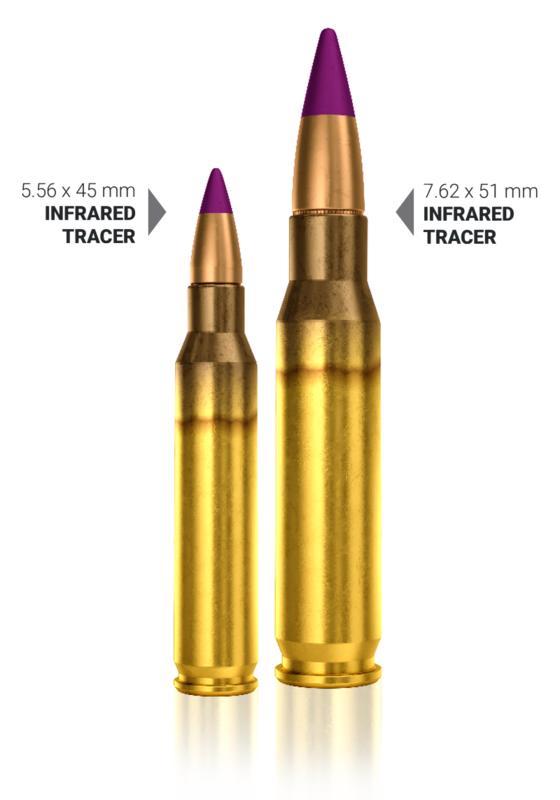 The ballistic trajectories for both 5.56 and 7.62 IR match NATO reference cartridges, making them interchangeable with regular tracers. CBC IR Tracer ammunition was designed for night operations, granting the combat forces a stealth advantage. 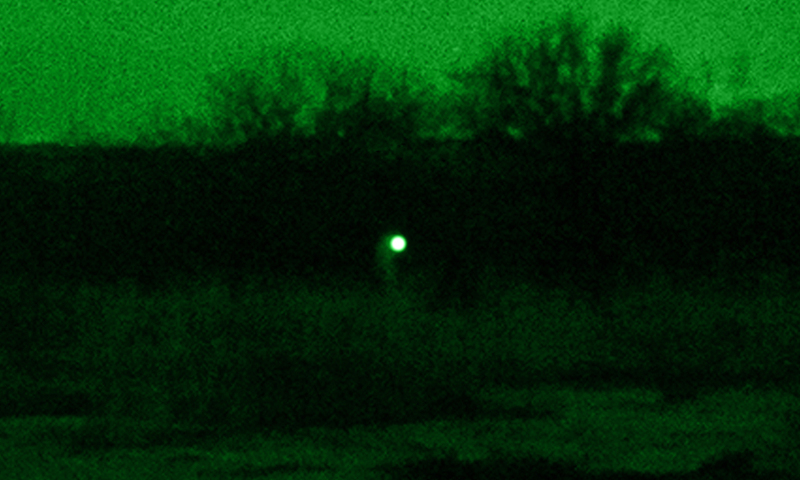 Trace visible from the shooter’s position and only through night-vision devices (NVDs) – GEN 3 and beyond. Reduced halo effect, enhancing engagement capability. Fully compliant with NATO MOPI requirements. No weapon modification or conversion kit is required. The reduced signature advantage is granted by the special energetic components’ properties, which ensure that the trace remains invisible to the naked eye and with virtually zero muzzle flash. Footage of CBC 7.62 IR Tracer testing in cooperation with Brazilian Air Force Black Hawk (UH-60) Helicopter armed with M134 Gatling gun "Minigun". 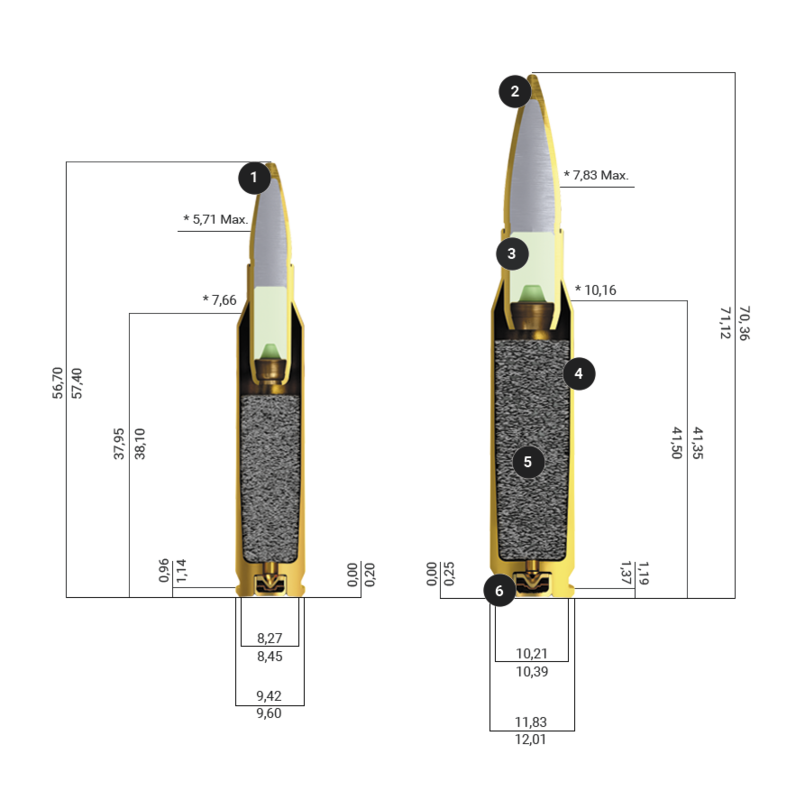 Differently from the standard tracer ammunition, CBC IR Tracer ammunition allows the fighter to clearly see the bullet’s trajectory without super exposing the NVD sensors (image intensifier tube), problem also known as “halo effect” – a bright spot that can be several times bigger than the actual target, partially blocking the shooter’s line of sight, compromising accuracy and combat effectiveness. The IR Tracer technology was developed by CBC Global R&D team. The technology endured an extensive array of tests, not only during internal validation phases, but also by independent research institutes, such as the TNO in Holland. The list of successful tests includes, but is not limited to EPVAT, weapon functioning and casualty on NATO Nominated weapons at +21, +52 and -54 °C, precision, trajectory matching, waterproofness, climatic storage and Infrared emission spectrum test. Specifically to the IR emission spectrum test, it was shown that only infrared radiation was emitted by the tracer composition and no relevant emission was detected in the visible spectrum (390 to 700 nm), which makes CBC IR Tracer visible only through night-vision devices (Figure 3). Figure 3 - Calculated SDZ for CBC .50 ball and trace cartridges (RR) – results in meters. 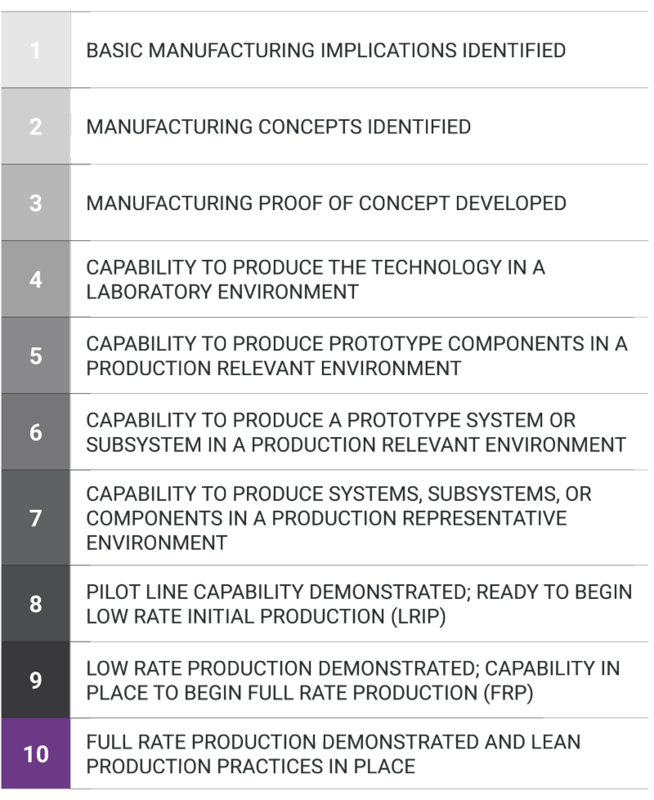 CBC IR Tracer is a mature technology with the highest Manufacturing Readiness Level (MRL) classification with a proven sales track records to a select group of Armed Forces Worldwide (Figure 4). Fully compatible with all NATO nominated weapons or equivalents without the need of any modifications or auxiliary equipment.